The Commission for Bible and Faith Formation has produced leaflets (in 3 languages) with suggested daily reading of the Gospels and Acts of the Apostles. This is a year long exercise from Bible Sunday 2015 to Bible Sunday 2016. Registration form for The Great Adventure Series of bible study, entitled “Follow Me: Meeting Jesus in the Gospel of John”, to be held at Holy Trinity Church, Kenyalang. Details and schedule are all included in the form. 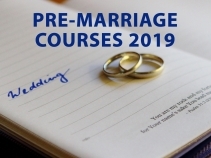 Schedule for Pre-Marriage courses offered by parishes in Kuching for year 2017. Registration form for The Great Adventure Bible Study on St Matthew. To be held at Holy Trinity Church, Kenyalang from 28 February to 29 August 2019. Abridged version of the Acts of the Archdiocesan Pastoral Congress held in 2012. Available in all three languages. Keynote address of Archbishop Simon Poh at the first day of Kuching Archdiocese Pastoral Assembly 2017. Texts in English, BM and Chinese. Reflection by Archbishop John Ha during the Joint Christmas Service on 17 December 2015. Texts for Family of Hope (in .pdf) can be downloaded in three languages, i.e. English, BM and Chinese. 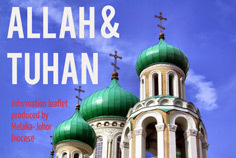 Texts for Family of Love (in .pdf – English only) can be downloaded through the link below. “Amoris Laetitia” (or “Joy of Love”) is a post-synodal Apostolic Exhortation by Pope Francis, released on 8 April 2016. It is Pope Francis’ reflection on family and family life, after the two synods of bishops held in Rome: Extraordinary Synod in 2014 and Ordinary Synod in 2015. Pope Francis’ first Apostolic Exhortation “Joy of the Gospel” (in pdf). Limited copies of the book are on sale. Purchase can be made through your parish priest. Encyclical letter of the Holy Father Pope Francis on care of our common home (in pdf). Published on 24 May 2015. Read it online HERE. Limited copies of the book are on sale. 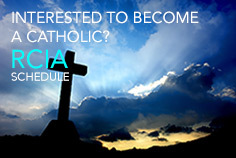 Purchase can be made through your parish priests. A summary of Pope Francis’ Lenten Message 2015. Download is available for all 3 languages. The full text of Pope Benedict XVI’s apostolic letter “Porta Fidei” for the Year of Faith 2012-2013. Pope Benedict XVI declared open the Year of Faith on 11 October 2012, whereas at the Archdiocesan level, the Year of Faith was launched on 20-21 October in the respective parishes. Borang ini adalah borang yang digunakan untuk merekodkan sebarang perlanggaran hak yang dilakukan oleh pihak-pihak yang berkenaan. Sekiranya anda menghadapi situasi yang dinyatakan, sila isi borang tersebut dan hantar kepada kami di Pejabat Belia Keuskupan Agung Kuching / Kucing Campus Ministry / mana-mana gereja Katolik yang terdekat dengan anda untuk tindakan selanjutnya.